Powerball finally reached its climax after the estimated jackpot increased to $500 million. This amount is reached due to ticket sales that exceeded expectations and has 3 lucky winners who will split the pot. The total jackpot was about 564 million dollar. This is one of the biggest jackpots ever. 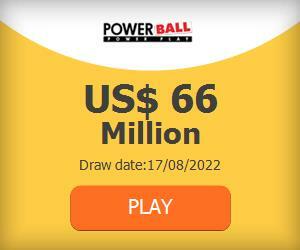 The winning numbers for this jackpot of $500 million were; 11, 13, 25, 39, 54 and the Powerball 19. The date of this drawing was on February 11th, 2015. The chance of matching all these numbers for the approximate lottery was 1 in 175,000,000 but at some point, the jackpot has to fall. Three winning jackpot tickets were sold for the Powerball lottery on 11 february 2015 about the jackpot $564.1 million. The winners live in in Texas, North Carolina and Puerto Rico. 17 More people won $1 million each and one who won $2 million dollar were, beside the jackpot party, also lucky winners of the game. Overall, nearly $75 million is distributed in non-jackpot prizes between 5,971,080 winners. Ice Lotto is proud to announce that 2,326 individual people had won with tickets bought using the service of the company. The prizes have already been distributed to each and everyone’s personal account. This amount of winners is without including all those who played and won via a Group.